Prominent & Leading Manufacturer from Delhi, we offer acerola extract, cat's claw extract, catuaba extract, mate dry extract, camu camu extract and muira puama extracts. 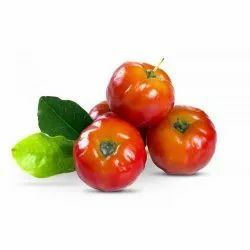 The Acerola Extract comes from the fruit of Malpighia glabra, a tropical shrub or small tree native to the Caribbean and cultivated in Brazil and elsewhere. It is known for being extremely rich in vitamin C although it also contains vitamins A, B1, B2 and B3 as well as carotenoids and bioflavonoids which provide very important nutritive value and have possible antioxidant uses. This vitamin C produced by the fruit is better absorbed by human organisms than synthetic ascorbic acid. 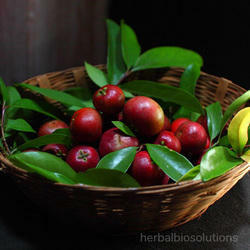 The high vitamin C content of acerola is responsible for the majority of its benefits. Antioxidants protect body tissues from being harmed by highly reactive atoms, molecules or ions that might otherwise harm them. These antioxidants explain and validate many of the claims made for acerola extract. Acerola extract also contains such physiologically important minerals as potassium, calcium, magnesium and iron. Some of the therapeutic properties of are antifungal, astringent, antioxidant, nutritive, astringent, tonic, anti-inflammatory, nutritive, cardiotonic property. Habitat: No particular habitat is reported. Cat's claw or Uncaria tomentosa is native to the Amazon. The name cat's claw comes from the thorns on the plant's leaves that look like the claws of a cat. The part used medicinally is the root bark. It comes in tablet, capsule, tea, dried herb or tincture forms. Cat’s claw has been used in Europe as an AIDS medication from early 1990s. Test tube studies indicate that cat's claw may stimulate the immune system, help relax the smooth muscles (such as the intestines), dilate blood vessels (helping lower blood pressure), and act as a diuretic (helping the body get rid of excess water). Cat' s claw also has antioxidant properties, helping the body get rid of particles known as free radicals that damage cells. Free radicals are believed to contribute to health problems including heart disease and cancer. Antioxidants can help neutralize free radicals and may reduce or even help prevent some of the damage they cause. Some early studies suggest cat' s claw may kill tumor and cancer cells in test tubes. 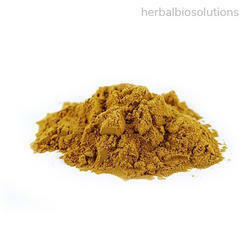 The above chemical compounds makes the cat’s claw extracts anti-inflammatory, anti-viral, anti- cancer, anti-leukemic, anti-oxidant, anti-TNF, vasodilator and hypotensive powder. The most widely used barks are derived from the trees Trichilia catigua and Erythroxylum vacciniifolium. This is a small tree and grows to a height of 2-4 mts and is called as small catuaba by the localities. Native to Brazil catuaba tree is cultivated worldwide these days. The chemical constituents found in catuaba include alkaloids (yohimbine), tannins, aromatic oils and fatty resins, phytosterols, cyclolignans, sequiterpenes and flavonoids. 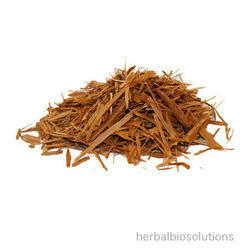 catuaba bark is considered a central nervous system stimulant with properties and a bark decoction is used for nervousness, poor memory, and weakness. 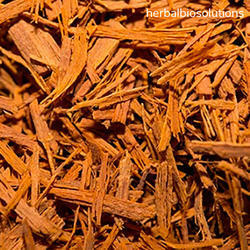 Catuaba bark also has antibacterial and anti-HIV properties. This means that it could be effective in preventing and treating a variety of diseases. Its properties of alkaloids, tannins, aromatic oils, fatty resins, phytosterols and cyclolignans have all been studied in order to make a determination of its healing abilities. 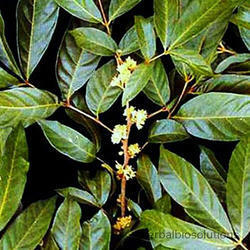 Catuaba is an , analgesic (pain-reliever), antibacterial, antiviral, vasodilator, vasorelaxant. It is native to subtropical South America, Bolivia, Uruguay, Paraguay, and South Brazil. It is Often served as a tea or an infusion with different fruit juices.The yerba mate plant is a shrub or small tree growing up to 15 meters tall. The leaves are evergreen, 7–11 cm long and 3–5.5 cm wide, with a serrated margin. The flowers are small, greenish-white, with four petals. The fruit is a red drupe 4–6 mm in diameter. Mate contains xanthine derivatives, caffeine, theobromine and theophylline, the major being caffeine. Caffeine content varies between 0.7% and 1.7% of dry weight(compared with 0.4 –9.0% for tes leaves, 2.5-7.6% in guarana, and up to 3.2% for ground coffee), theobromine content varies from 0.3 -0.9%; theophylline is present in small quantities, or can be completely absent.A substance previously called "mateine" is a synonym for caffeine (like theine and guaranine).Mate also contains elements such as potassium, magnesium and manganese. The camu camu extract comes from the fruit of Myrciaria dubia, a bushy riverside plant of the amazon forest especially peru and brazil. Edible fruits produced from this plant are those for which this plant is cultivated. Known for the highest amount of natural Vitamin C, this evergreen plant’s habitat is dry soil and is mostly found in temperate regions. It is also known as the Queen of Citrus Fruits camu camu and contains beta-carotene, calcium, leucine, protein, serine, thiamin, and valine apart from Alpha-pinene and d-limonene. Increase in demand of vitamin C has made it a very popular natural source of ascorbic acid after lemon. This fruit is also a good source of potassium, besides containing a good rate of minerals (iron, calcium and phosphorus), vitamins (B1 and B2), and amino acids that can help the absorption of vitamin C.
Camu camu extract acts as a good astringent, antioxidant, anti-inflammatory, analgesic, antiviral, emollient and nutritive agent. Common Name: Camu camu, Camucamu, Camocamo, Cacari.